The vehicle has an MOT that will expire in Feb 2019. It has a road fund license. The vehicle registration is known to UK systems. Leaves the question of cloning. This car, until recently, was parked up on the pavement quite regularly whenever the loading bay outside was at full capacity. Seen multiple hand-to-hands conducted from the car window, and it is one of the main culprits for noise. JGD wrote: The vehicle has an MOT that will expire in Feb 2019. Presumably you cross-referenced the colour and make as well? Went past yesterday and the door had been padlocked. No sign of anyone about. KEVD wrote: Went past yesterday and the door had been padlocked. No sign of anyone about. The sooner the Payless Shop closes the better, it is a complete eyesore and am surprised they get any footfall at all! I wonder who the leaseholder is and if the lease is due to end? Or maybe are they looking to open something else, if so judging by how it looks now that is not a good omen. It's 1am and it is still shut and padlocked with all the rubbish and waste outside. Whoever bought this business from the original owners clearly doesnt care at all. Surely the business is making a loss and can't sustain itself. We can only live in hope that the lease is coming to an end and they will close for good soon. Worth keeping a close eye on goings on there in the meantime. I walked by around midnight on the 23rd December, turning into the 24th. The shop was open, padlock gone and two of them where sat outside chatting and smoking. After a little Christmas drink I decided to confront them and ask why they’d allowed food to rot outside for weeks, much to the detriment of the local businesses either side and told them how disgusting it was. They didn’t much care about that I was saying and seemed more amused by it. Tried to fob off an excuse about something to do with the landlord and their ceiling leaking/not getting fixed or something...hope it’s closed down for good tbh. I wonder if this is an issue for reporting to the Environmental Health Department as it concerns food. Also if food is rotting outside the premises it will attract rats. of mouse/rat poison under the shelves. The FSA or Environmental Health would be a very good start in finding out what’s really going on in there. Shop still closed and things getting worse as a rat was seen scuttling opposite the Greyhound by the shop on Friday eve. I have dropped environmental health a line also the department who looks after licences to use the pavement / highway to alert them to these issues. It may well be they don’t have a current license if so they can perhaps be reported for fly tipping and it all removed. Received this from Lewisham Environmental Team. Lets hope things will be tidied up soon. Thank you for your complaint. 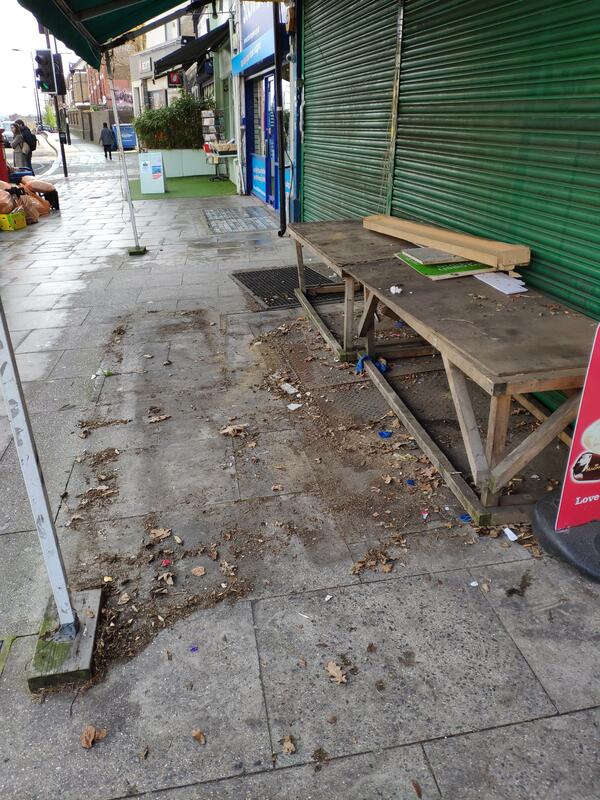 It appears that this matter is under investigation by the Councils Enforcement Team, who are currently investigating the anti-social behaviour of individuals linked to the premises, along with other issues. The London Fire Authority are also following up on fire safety within the building. I shall be visiting the premises to establish details of your complaint. All information obtained will be forwarded to the Enforcement Team for information. I shall keep you informed as to the outcome of my inspection. Should you require further information please do not hesitate to contact. I wonder who is now responsible for moving the rotting wreckage at the front? Yeah, apologies, I should have posted an update. It hadnt opened since New years day. Environmental health and various other departments could not reach the leaseholder who basically didn't care. Even after an attempted break in a couple of weeks ago, the leaseholder wanted nothing to do with it and the property owner was saying it was the leaseholder's responsibility. 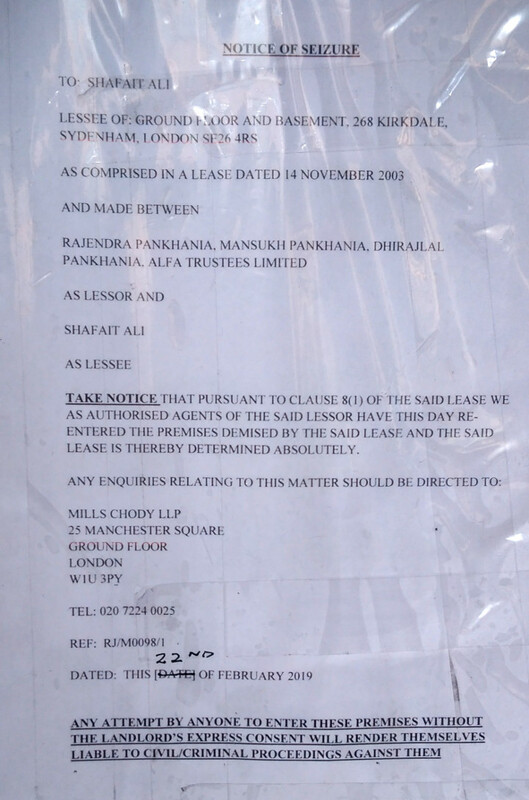 Thankfully, the leaseholder's agreement is now cancelled and a local shop owner that I know well is taking it over. Gutting it out and starting again, still a foodstore. I won't say who without getting their permission first, but hopefully in 6-8 weeks it should look very different. Shame, ideal for another little restaurant/bar to continue the wave at Cobbs Corner. Four months later, several emails to Environment Health and other council departments by myself and my neighbours and still nothing has been cleared. So, I took matters into my own hands, lets see if the council clear the 12 council domestic rubbish bags I have left out for collection with all that non domestic rubbish in it. I didnt have a yard broom to do a good job of the leaves etc, hopefully some wind and rain will take care of that.